If I tell people that I’m writing another piece about Chardonnay, I can almost hear the yawn over my internet connection. But someone is not being truthful. Chardonnay is the largest planting in California. It was not always so. And Chardonnay is more widely distributed worldwide than any other variety. It’s malleable, more so I think than any other grape. Dry, oaked, unoaked, classic in Champagne and used in sweet wine, it’s a grape for all palates. Making good Chardonnay is a rite of passage for vintners, and so many offerings are delicious. But every so often, one is offered – a particular vintage from a particular winery that goes over the mark and is exceptional, surprising and memorable: A wine both for summer enjoyment by itself and also enjoyable with food. One versatile, delicious bottle that travels from the table on the deck to the table in the dining room. My most recent experience of this came with tasting Lynfred’s 2015 Chardonnay. Grapes are sourced from Heringer Vineyards in Clarksburg, California and are planted specifically for Lynfred by the vineyard. On the nose, I enjoyed expected citrus, but also a hint of peach, pear and apricot pit. Most inviting, however, was its clean, fresh scent. Everything about this wine said “fresh” and was sip inviting while at the same time making a taste at the expense of continued enjoyment of the aroma a sacrifice. There’s a slight caramel-butter taste in the wine that softens the citrusy acid. It’s a pleasing push-pull of sensation enhanced by the creamy lanolin mouthfeel of the wine on the palate. 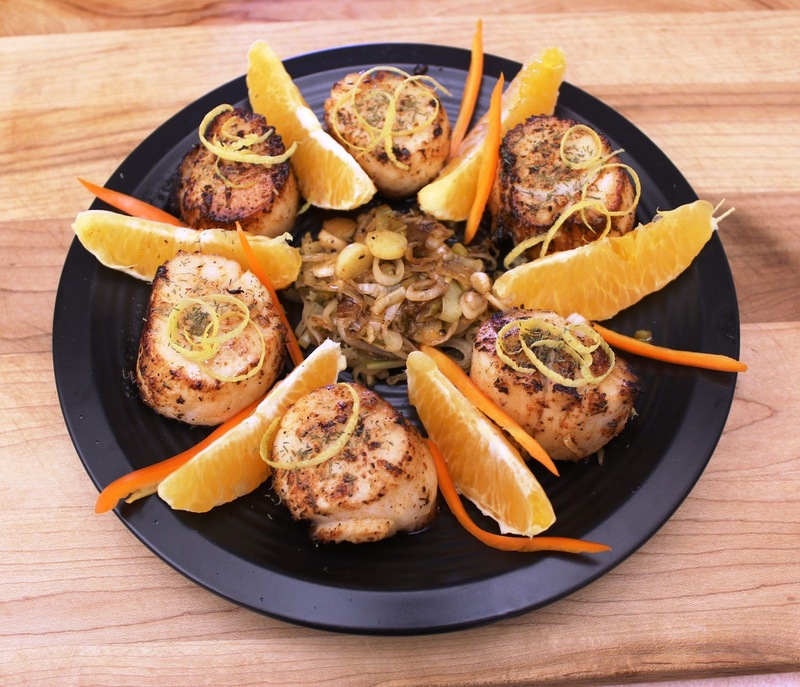 Citrus peel carries into the taste along with key lime and (most enjoyable for me) jasmine. I paired this wine with numerous dishes. Lynfred suggests a Watercress, Endive & Grilled Peach Salad (see their website for recipe). 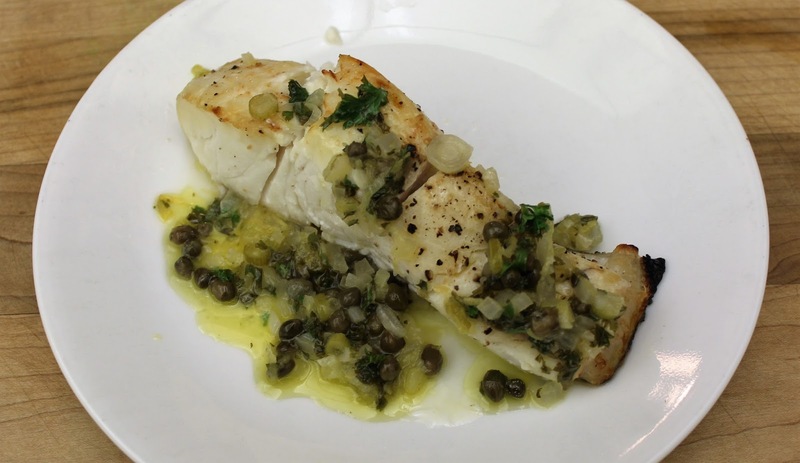 I made halibut with a butter-lemon-caper sauce and enjoyed the wine’s acidity cutting through the sauce and cleansing the palate. It worked equally well with shrimp burgers I made. 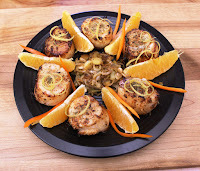 Grilled scallops with orange segments were fun too. A green salad with grilled chicken dressed in a raspberry vinaigrette? No problem. The wine wasn’t put off by the vinaigrette. Its artistry is in its versatility; chameleon like, it seems lighter weighted when necessary and fuller bodied as needed; one wine. While fresh, the wine has body. The finish is crisp and medium-length but so inviting you will want another sip, starting again the cycle of aroma-taste confliction. I tasted Lynfred’s 2015 Chardonnay against two well regarded Saint-Veran. Saint Veran is an AOC requiring its wine be 100% Chardonnay and it borders its famous neighbor, Pouilly-Fuisse, in fact sharing soil type. In the Maconnais sub-region, these wines are white Burgundies. I enjoy many styles of Chardonnay in the summer because the wines lend themselves nicely against the lighter foods I seem to prefer in warm weather. And Saint Veran, lighter in style than some famous and oakier White Burgundies from other areas, seemed a fair comparison. In each tasting against the two Saint-Veran (which will go unnamed), I (and my guest) preferred the Lynfred. Fresher, clean, with lively acidity, it presented a balance of fruit to acid that made the wine refreshing, light and zippy but without being so acidic as to pose a hazard to your teeth enamel, yet presenting a delicious taste of balanced fruit. The team of Andres Basso (Director of Winemaking) and Rodrigo Gonzalez (Head Winemaker) at Lynfred have become a dynamic duo. Each has impressive education credentials and international experience, but Andre previously at Concha y Toro and Rodrigo at Casa Lapostolle bring to memory wines I’ve enjoyed that perhaps they made while they were there. For sure, they’ve given me one with their 2015 Chardonnay. At prices between $20 and $22 (club price differentiation), you’ll find this wine a workhorse, being able to use it across varied terrains of cuisine. And who am I to argue with da Vinci anyway? From my perspective, a really good bottle of wine is perhaps more relevant to the moment than what happened ten millennia ago in a galaxy far, far away to a distant star. Either way, it seems the stars were aligned with this wine. Like Wine Mizer on facebook for crossword puzzles, industry news, mini reviews of wine, food pairing tips and more. · I since learned my instinct was spot on. Only 38% of the wine was aged in wood (American) and that being with second and third use barrels. Batonnage twice monthly.